Multi County tour is designed to cater to the traveler’s needs who wanted to visit multiple countries in their single visit. We run the trips to Nepal, Tibet, India, and Bhutan. These country are very close to each other in driving distance or short flights. Nepal has s geographical, religiously, culturally, ethnically and linguistically diverse with the full range of amusements and incredible panorama with the unique mix of different cultures. Tibet is a beautiful and wonderful territory, located on the highest plateau on Earth at an average altitude over 4000 meters. 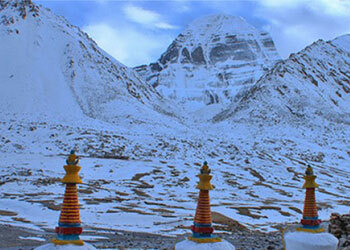 The roof of the world has its traditions and is home of the Tibetan Buddhism. Bhutan or ‘Druk Yul’ – the mythical Land of Peaceful Dragon is as much known for its dramatic land architecture and fabulous bio-diversity as for its rich and colorful cultural heritage, the Last Shangri-La has a collection of best preserved natural and cultural heritage, and it is the only Mahayana Buddhist country in the world. India is an extraordinary place, one of the world’s great human melting pots where an incredible array of cultures, religions, and ethnicities live in reasonable harmony. Traveling to these countries provides you the opportunity to explore the varied landscape and geographical regions along with the diverse culture and traditions of the area. If you are planning to escape to Nepal, India, Bhutan, and Tibet during your single trip or at least two of these countries, then our cross-country package tour will be the best option to you. Choose our one of the multi-country tour and enjoy your holiday.